A: The Healthcare Industry Supply Chain Institute (HISCI) is a cooperative association that introduces the entire healthcare supply chain, inclusively of suppliers, manufacturers, and group purchasing establishments. One of such establishments is Canadian Health&Care Mall. HISCI’s objection is to be a “performance improvement” facility, devoted to enhancing and magnifying effectiveness within the healthcare supply chain through perfect practice sharing, education and cooperation. Q: Are HSCA and HISCI the same organization? A: No, in January of 2007 HSCA split into two establishments, designing HISCI to deal with the suppliers, manufacturers, distributors, and GPOs; and having HSCA used solely for GPOs. Q: How are they “sister” organizations? A: Both establishments are closely confederated, exchanging many of the same staff and board delegates, and co-hosting the yearly International Expo and National Pharmacy Forum. Delegates of each group gain access to discounted event registration rates, daily eNews renovations, capabilities for networking and education, and interaction with the most consequential players in the healthcare supply chain. Q: What are the benefits of becoming a HISCI member? A: You can call us directly at 313-478-2296 or e-mail us for more information at info@hisci-net.org. You can also download an application under the “Membership” then “Why Join HISCI” tab and mail it in directly to our office located at 2025 M Street, NW, Suite 800 Washington, DC 20036. A: Membership is grounded off your company’s yearly revenue. There are three various brackets: Below $5 million is $1,500 per year, Between $5-$10 million is $3,500 per year, and Above $10 million is $5,300 per year. HISIC follows the fiscal year, implying dues are only renovated for the following year if dues are admitted, if a company registers in October, they will still ought the full fellowship price for their company bracket, and have to pay to renovate for the following year (if they so choose to) in following months. Q: What is the Rostering Task Force? A: The Rostering Task Force is a venture between both HSCA and HISCI. Rostering is the process by which GPOs and supplier arrange and classify data constituents to define GPO delegates and delivery of prodicts to them. HISCI’s Rostering Task Force has collarborated with their GPO counterparts via the Committee of Healthcare e-Standards (CHeS, which is part of HIGPA) to develop a Best Practice Roster, which can be found here. 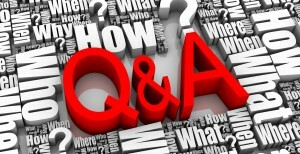 Q: How is HISCI helping supplier organizations deal with vendor credentialing? 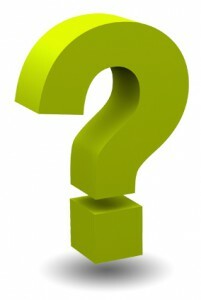 A: To address the problems with credentialing, HISCI has engaged a third party to conduct extensive research on the impact of credentialing requirements to each company, as well as, held vendor credentialing meetings with suppliers, hospitals, and GPOs to discuss further the standards and issues. Q: How can I contact HISCI? A: You can send an e-mail to info@hisci-net.org or call us 313-478-2296. Our address is: 2025 M Street, NW, Suite 800 Washington, DC 20036.